First of all id like to say that i first use Skinedit to make the skin itself and then Gimp for shading. Another awesome program for skinning is McSkin3D which you can find here. 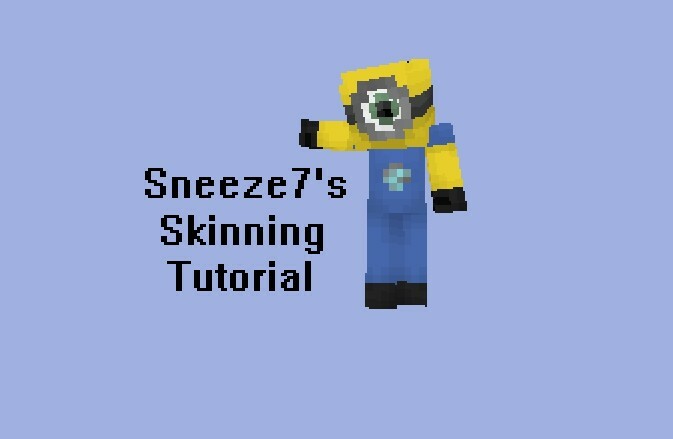 This tutorial i am going to show you guys how i make my skins and more specifically how i made my despicable me. The result can be found here. First, I take all the colors im gonna use and put it into the box where it says head. Then i make the skin itself in Skinedit(with no shading), I use Skinedit for this so i can see how the skin will look on the 3D preview on PMC. McSkinedit is awesome for preview aswell! Step 2. Choose the color you are going to shade on, in my case blue, and make it darker, like in my case, Darkblue like i have it on the picture below. Step 3. Drag down the opacity to around 10, in my case 11,3. Step 4. Draw once, and it gets a bit darker. Draw on that spot again and it will get even darker. Now ive shaded the body. Now ive shaded the whole skin. Now this is very important when shading, these areas should be darker because they get shadows by other areas. When i upload my skin to Minecraft, it says something like this: Invaild Skin file: Content is not an image. Gosh! This was easy to understand and remember! A sub and a daimond! this is a great tutorial! wow. my skinning will be so much better now!!! 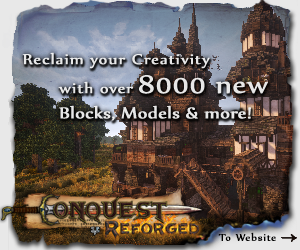 instead of using gimp, can you just use either the dodge/burn or lighten/darken tool on mcskin3D? Because thats what i use :) my shading never looks as awesome, prob since i dont do it realistically!! You and this tutorial, have helped and inspired me so much in the times when i didn't know how to shade, or even how to make a good skin. This is so helpful to me, and thank you for your support, i really appreaciate it! how do you make it so you can flip a selected area on gimp? Pretty good guide, but you should make a blog dedicated specifically to shading. It's kinda hard to do what you did, just by reading and looking at the picture. Question: Is using the burn tool on a lower oppacity equivilent to that? Can i have the link to GIMP? Sneeze i have a problem uploading the skin here after shading from GIMP. Invalid Skin : Detected transparency in the body of the skin. This will show black in the game. Fix and reupload. Did you possibly not add solid colors and draw with transparency from the start? or did you use the smudge? Thanks i made 2 skins with this! Awesome tutorial, I will have to try this with my skin. Cool skin but this is not a tutorial on shading. You just show what you did you don't actually tell what to shade or anything. So is the finger thing the reson your shading is way darker than mine? maybe, i stopped using it because the shading got way to subtle. Can you give me some diamonds because my computer won't let me upload. DAMN! I was using airbrush. I was wrong the whole time! I like to get the perfect colors for my skin in GIMP. This will change the way i skin forever! Hey I had got this and made a skin but I can't post it on here. Why? I dont know, what does it say? Upload the skin file; but how? Type the browse button and like most uploads go click on the skin then the tiny save button beside it. Hey I was just wondering what skin edit program you use? Did you read my blog? Oh well I can't get gimp to download on my computer! Great tutorial! Your skins are awesome. i find your tutorial is great but i have had a problem can you help me out. i downloaded gimp 2 and i shaded my skin in but when i tried to upload it to the site in came up with ' this file has parts of transparency you need to fix this and re upload' or somthing on those lines i tried it numerous times and that came up every time. Wow, so that's how you do your shading so well! MLS: Major League Skinning, Nice Job! Thanks, Sneeze! Now I can be a pro skinner like you :P.